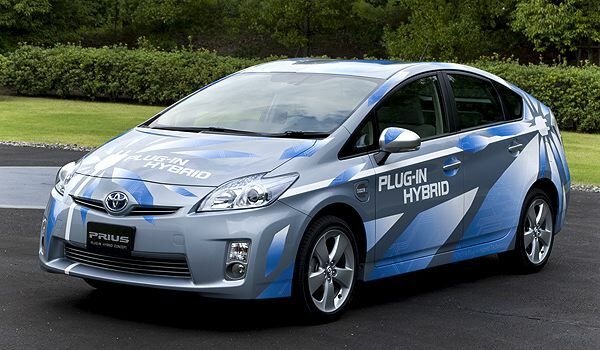 When it comes to thinking about who to turn to when buying a hybrid or electric vehicle, Toyota is the top choice. That’s one of the key findings of an independent European consumer study into how ready and willing motorists are to change to hybrid. The joint survey by Automotive Business Intelligence company EurotaxGlass’s and UK-based marketing and research institute Harris Interactive found that Toyota is the company most widely recognised by consumers as a manufacturer of hybrid and electric vehicles. Thirty per cent of those questioned professed an interest in electric or hybrid vehicles, with Toyota standing out in all the European markets represented as the company with the highest brand awareness. When asked to name an electric or hybrid brand, some 15 per cent of respondents cited Toyota, with only six per cent naming the closest rival hybrid manufacturer. Moreover, Toyota’s environmental flagship proves to be the single best-known electric or hybrid model, with 16 per cent of those questioned being aware of the award-winning Prius, and only six per cent naming the closest rival vehicle. With more than three million hybrid vehicles already sold worldwide, Toyota continues to roll out full hybrid technology across its main European model range. Following the successful introduction of the British-built Auris Hybrid in 2010, Toyota revealed its Yaris HSD concept at this year’s Geneva motor show, signalling its intention to bring Hybrid Synergy Drive to the B-segment, the largest sector of the European new car market. Prius+, Europe’s first full hybrid seven-seater, made its debut at the same occasion and will be launched in Europe in 2012. Last year, Toyota set a new milestone for sustainable mobility with the introduction of the Prius Plug-in Hybrid through a global limited lease programme, including 20 cars delivered to London-based fleets. During 2012, Toyota will also introduce this model to the market. With electric vehicle sales still handicapped by vehicle price, driving range and the lack of charging infrastructures, Toyota sees plug-in hybrid technology as the most feasible short to mid-term technological solution to the electrification of powertrains. A full hybrid vehicle, the Prius Plug-in Hybrid represents a significant expansion of the Hybrid Synergy Drive system’s capabilities, offering drivers the best of both worlds: an extended, fully electric EV mode is used for shorter journeys, while the hybrid powertrain’s petrol engine gives the vehicle a true long range capability.